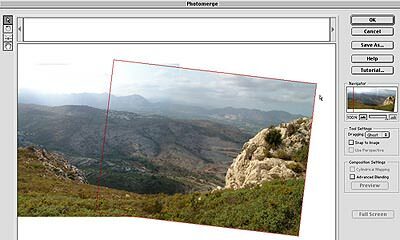 Adobe's budget version of Photoshop, Photoshop Elements has a few new tricks up its sleeve including an image stitching mode. 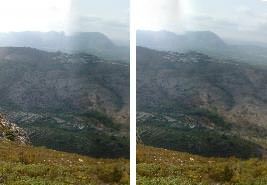 Several programs now have a stitching mode that lets you place a number of pictures, taken from the same position but with a slightly different viewpoint, together edge to edge to make a panorama. 1 Open the program and go to the menu bar at the top of the screen. 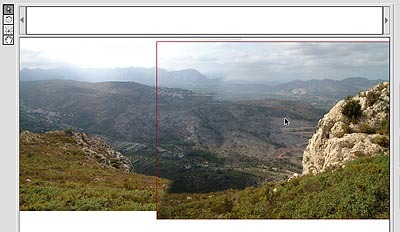 Select PhotoMerge from the File menu. 2 This brings up a box that asks you to locate the pictures on your computer that you want to merge. Click Add and Open to add the picture to the list in the box and when you've located all the images click on OK. The program then automatically merges the pictures on the canvas. It takes a few seconds to open each picture and resize them and you may get a message that you have to resize the picture manually if they are too big. The program merges the images by looking at similar pixel patters and can get it wrong if there are lots of similar areas in each picture. I found it better if you manually arrange them. 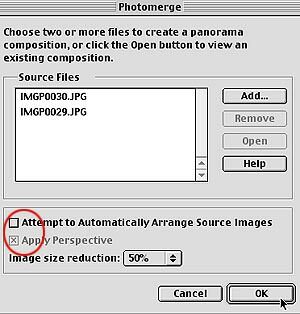 Uncheck the box 'Attempt to Automatically Arrange Source Images'. 3 Now the pictures appear at the top of the page and these can be pulled onto the canvas below by clicking and dragging on each image individually from the top strip down to the canvas. If the pictures are too large and cannot be seen in a row on the canvas go to the Navigator on the right and select a smaller percentage. 4 Move each picture by clicking and holding down the mouse as you drag. You will notice that the overlapping area becomes semi transparent so you can see the image below. This allows you to match up joining areas and helps the program make a better seamless stitch. I find setting the dragging box to ghost and unchecking Snap to image allows a smoother adjustment. 5 When the images are in place you may notice a darker line where the two images overlap. To avoid this click on the Advanced Blending box which gives a more invisible merge. Click on the preview button to see the blend. 6 When you are happy with the way the preview looks click OK at the top right and watch your picture be automatically blended. When complete the photo is a background without any history and untitled so save it straight away to avoid losing it if the computer crashes. 7 You may now have to crop the picture to lose the white background. In our case I needed to crop at an angle so drag a box around the picture using the crop tool and use the rotate command to adjust the angle of the box for the most effective crop. You may find at this stage it's a good idea to make the window bigger so you can rotate easily. That's all there is to it. Use this mode to stitch upright pictures when, for example, you want to shoot a tall building but can't get it all in the shot. 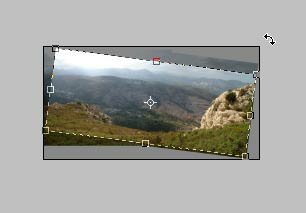 Also try using it to create super wide views of landscapes and interiors or as a way of producing higher resolution photos. If your camera isn't high resolution set the lens to the telephoto setting on the zoom and take six pictures in a three across, two down grid and stitch those together to make a larger overall photo. Use the program to merge pictures that don't normally connect and make a collage. 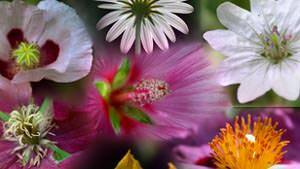 The program automatically blurs the joins of each picture as seen here with this simple flower collage.